Researchers have conducted a study on a 110 km stretch of the Murray River over seven years, installing more than 4450 wooden ‘snags’ and analysing more than six million records of tagged fish. “We found a three-fold increase in the abundance of Murray cod, and a doubling of abundance of golden perch, in the reach of river where habitat restoration was done compared to sites where habitat remained constant,” said researcher Dr Jarod Lyon. The experts employed a range of methods to track the fish populations over time, including electrofishing surveys, mark-recapture, and telemetry tracking. Professor Corey Bradshaw says relevant government bodies and authorities are more likely to take habitat-restoration options seriously because of the proven effectiveness. “Restoring degraded freshwater ecosystems like the embattled Murray-Darling Basin is an expensive and colossal task, so knowing that our restoration attempts actually work to increase the number of native fish gives us hope that we can keep these unique species around well into the future,” he said. Anglers also provided important data by sharing their catch records within a science citizen-science program. “These results give great confidence to river managers that installing woody habitat really does help native fish populations thrive, and delivers substantial benefits to the communities using them,” Dr Lyon said. 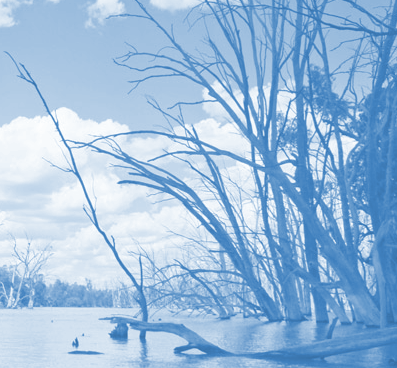 “Under most climate-change scenarios, we are looking at a future where there will be increased pressure on Australia’s limited water resources. The work was funded by the Murray-Darling Basin Authority’s Living Murray Program in partnership with New South Wales Fisheries.